She’s one half the powerhouse female duo of comedy that’s dominated your television and movie theater many times since 2001. 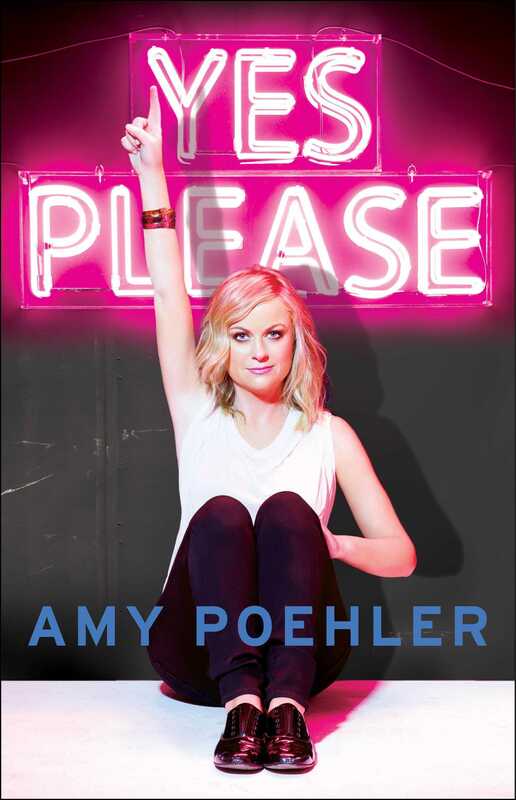 Amy Poehler’s Yes Please marks another milestone: both Poehler and her compadre, Tina Fey, have autobiographies. At only 44, Poehler’s career as an actress, writer, producer, and comedian continues to rise. It seems she’s just as good on her own as she is with her fellow performers. You might know her from Saturday Night Live, Parks and Recreation, Baby Momma, or even her recent voice role as Joy in Pixar’s Inside Out (You recognized that voice, didn’t you?). Poehler delivers laughs in most every role we’ve seen, and Yes Please maintains that trend. The opening quote of this review shows us that her witty and hilarious thoughts translate perfectly from the screen to the page. It also hints at what you’ll find throughout the book — and it’s something you probably weren’t expecting: Amy Poehler is a sage with surprising wisdom. If you dive into Amy Poehler’s Yes Please, be ready for some head and heart checks. To be clear, Poehler is in no way abrasive with her thoughts. I found myself constantly thinking about things differently through her words of experience and making notes that I knew would come in handy down life’s often bumpy journey. After the book’s enjoyable introduction reveals a little bit about how Poehler’s intricate mind works, it continues with her childhood and follows her career to the present day. From beginning to end, Poehler made wise choices in the stories she chose to reveal as they rarely feel boring or contrived (a pitfall of many biographies). Additionally, the short format of her chapters allow for brief but thoughtful insights and smiles when you only have a few minutes for reading here and there. Poehler met the aforementioned Fey in a lucky collision of creative talent with an improv group in Chicago during her early twenties. She was also fortunate to find herself surrounded by many future headliners who offered deep friendship and opportunities that shaped the rest of her life. I won’t spoil how she unknowingly met Seth Meyers of recent late night fame, but it was one of my favorite stories of the book. Check it out. Throughout the book, it becomes obvious that mere luck or acquaintances didn’t create the success we see today. Poehler artfully dispels many those rumors. Being successful isn’t easy. Being as absurdly successful as Poehler is downright difficult. Perhaps the most surprising aspect of this book was the inspiration it gave me as an artist. Reaching excellence in something is hard work that results in countless failures and heartache, even for someone of Poehler’s fame. If the “thing” is worth doing, she assures over and over from her own story, it will persevere and reward the doer in many ways. As the story carries the reader through some of Poehler’s recent projects and finally to closing thoughts, I found myself feeling like I’d just had a cup of coffee with a woman who had a very different journey than mine. I understood her, felt connected to her, and didn’t want the conversation to end. A side note: while not the focus of the book, Amy Poehler’s Yes Please reveals many tidbits from Poehler’s career that fans of Saturday Night Live and any of her other projects will find an extra delight. Did you know Rob Lowe probably saved Parks and Recreation from cancellation? Me neither. I didn’t even care for his character until I read that fact. While biographies from comedians flood bookstores, Poehler succeeds where others haven’t. She injects comedy into her life’s story and crafts a compelling collection of experiences. Each tale is full of wisdom that’ll have your highlighter ink covering the pages and not minding one bit. Would readers of my works enjoy this novel? 75% chance. This is obviously a different genre from fictional suspense, but you could probably use a break from those heart pounding page turners once in a while, right? This fits the bill perfectly.